Teachers will start using MarvellousMe from 11th March so you have a week to get it all set up before you receive notifications. Do contact the office if you need any additional support. Last half term our pupils lost 1950 minutes (equivalent to 5 days of learning) due to lateness. School doors open at 8.45am and pupils should be in class, ready to learn by 8.55am. Afterschool club night. Please collect your child from the main playground at 4.15pm. World Book Day. All children come to school dressed as their favourite book Character. Year 2 visiting WHSmith in Guildford. There will be lots of fun activities throughout the day for the children! Red Noses are now available to purchase from the school office before and after school for £1.25. 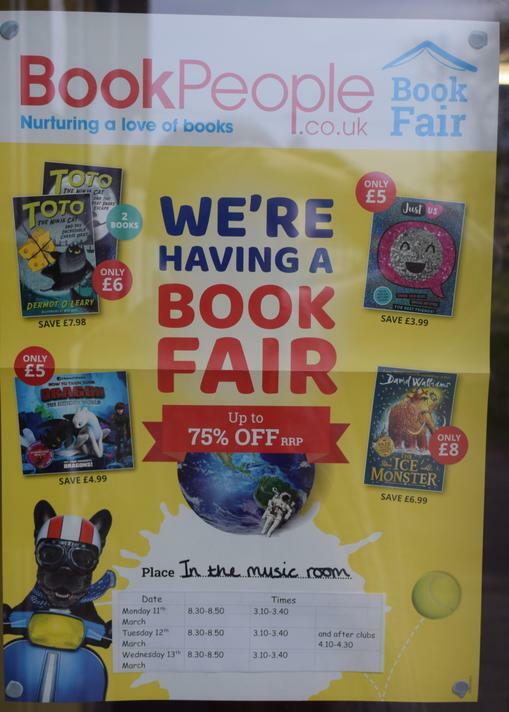 The Book Fair is in the school Music Room on Monday 11th, Tuesday 12th and Wednesday 13th March before and after school.